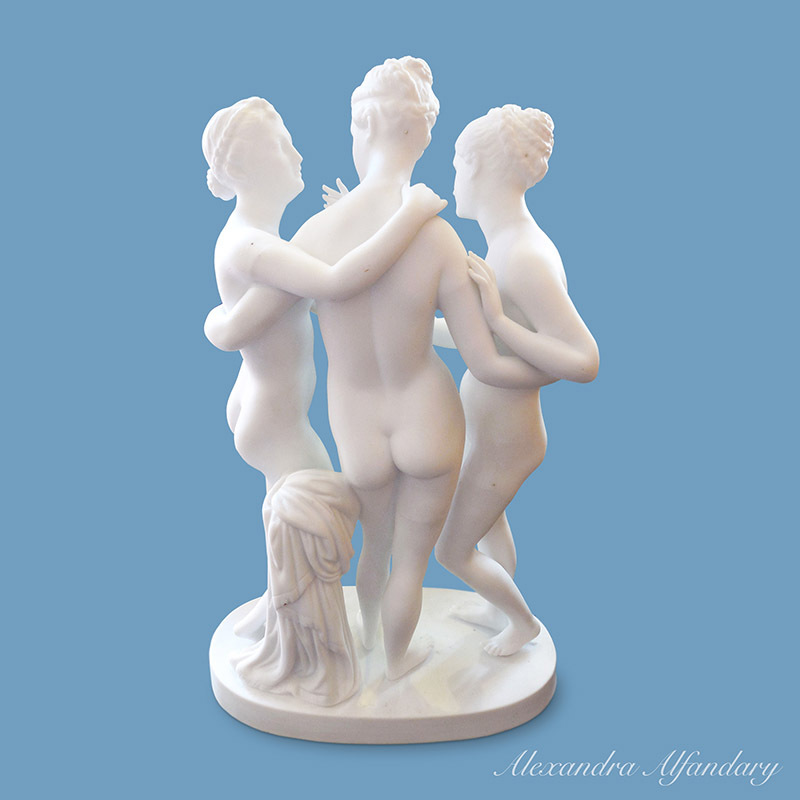 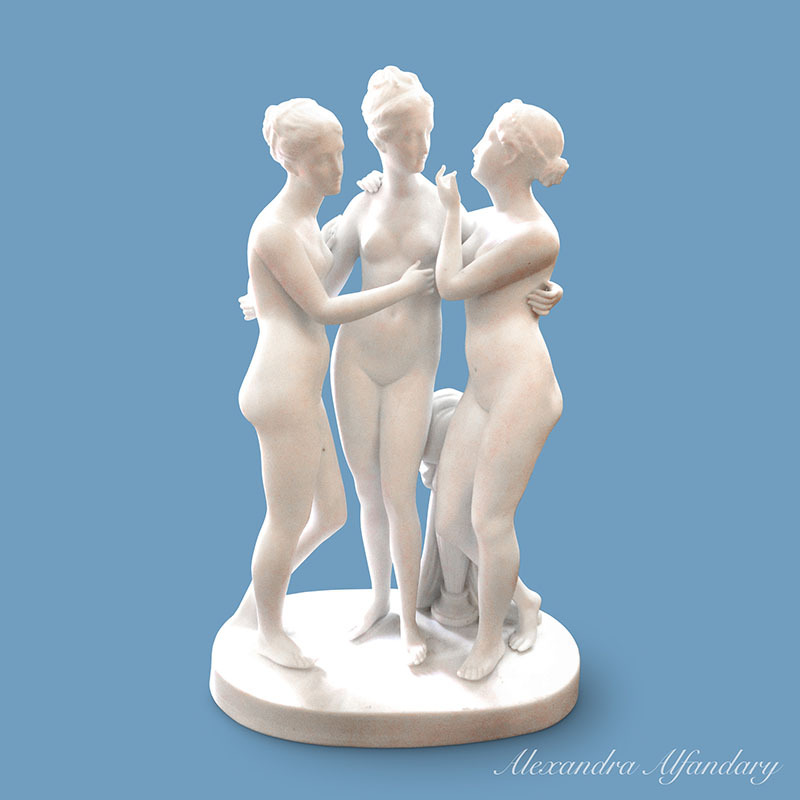 An elegant study of The Three Graces in white Bisque Porcelain, after a much loved and admired work in marble by Antonio Canova, and other manufactures recreating this charming subject. 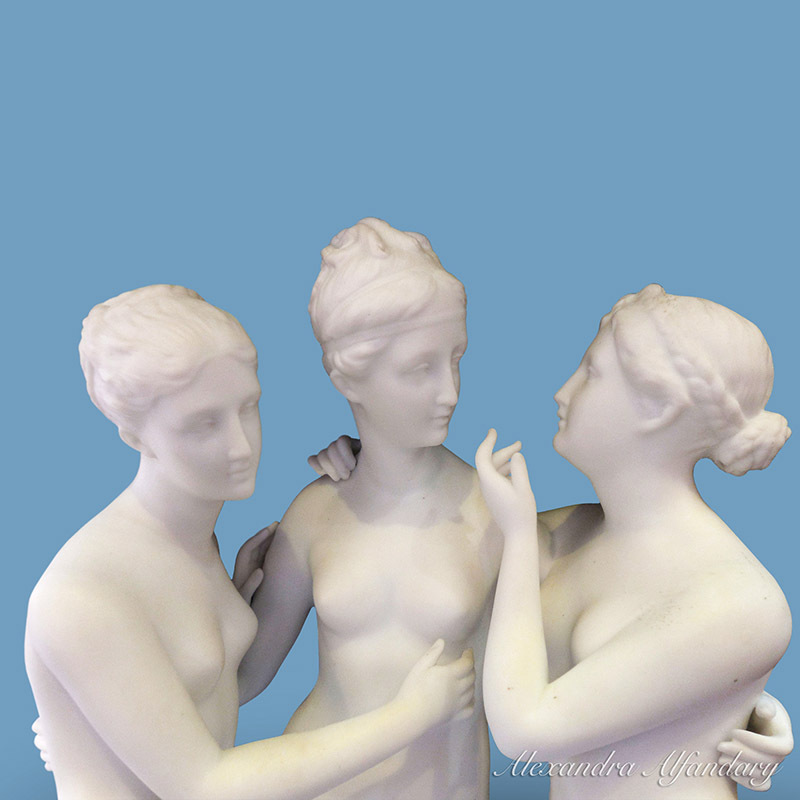 This group was made in France in the late 19th or early of 20th century and retains the elegance and charm. 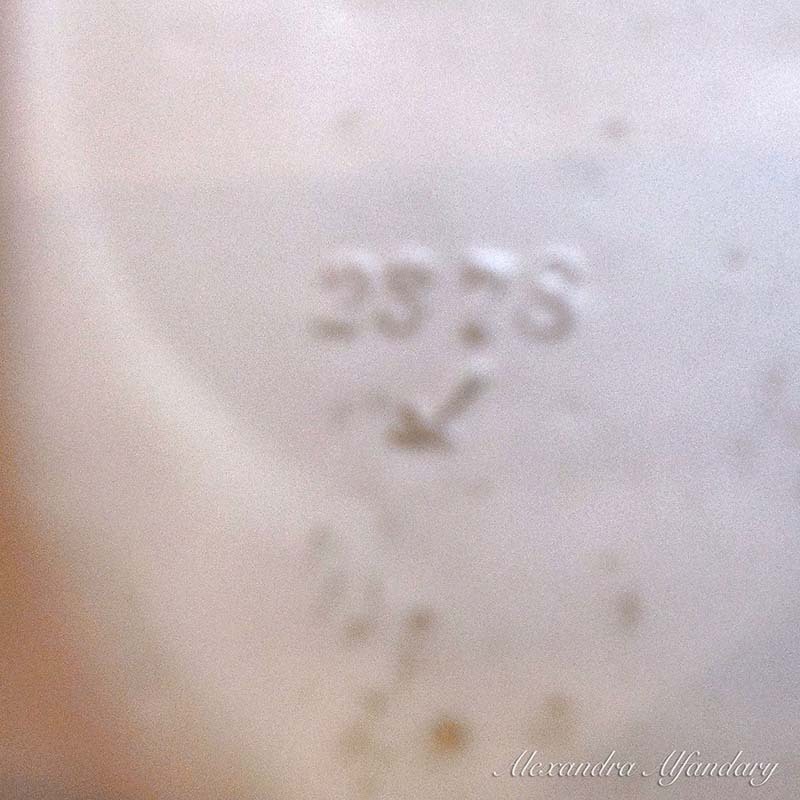 Impressed manufacturers symbol to base and serial number, French c1900.